Ghulam Ali, Mhedi Hassan and Nusrat Fateh Ali Khan were the regular names at home in my growing days. Mhedi Hassan Sahab introduced me to the classical music at a very young age and made me realize that music it not just the lyrics but beyond it with his mesmerizing thumri. It was later when my brains grew I learnt that those were legendary Pakistani singers. There has always been cross border infiltration of music, literature and culture in our house and it has been more than welcome always by one and all, as being gujjus we were always fond of fashin food and music (read garba – we can dance even on a gazal :P ). 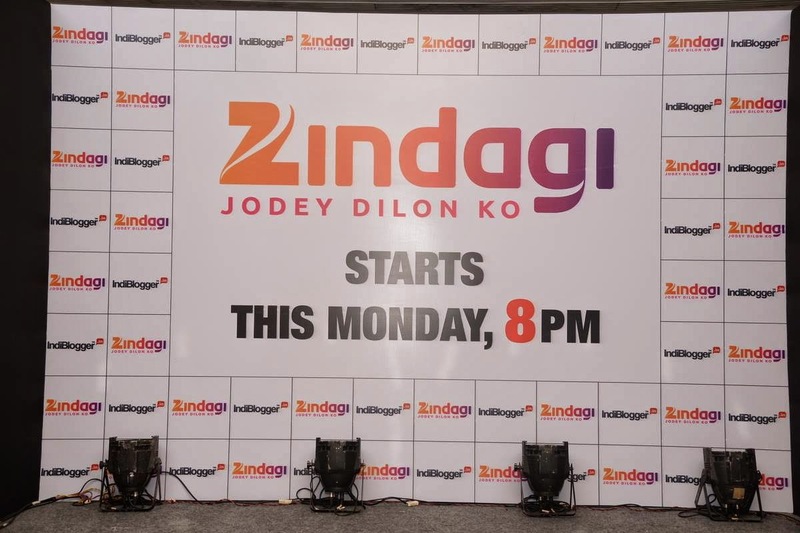 So when IndiBlogger announced the #JodeyDilonKo meet with Zee Zindagi, I pounced on the opportunity and registered for the same with no second thoughts. It seemed like a chance of getting really close and personal with the neighbouring artists who fascinated me through my growing days. So before the things got out the hand and people threw the chairs at the cameras to have a virtual effect to have thrown it on the bloggers in the other city the IB team introduced the ZEE Entertainment Enterprises Team (ZEEL) rather quickly in huff puff. The obvious was informed that the new General Entertainment Channel will be aired in the country from 23rd June, 2014 onwards. 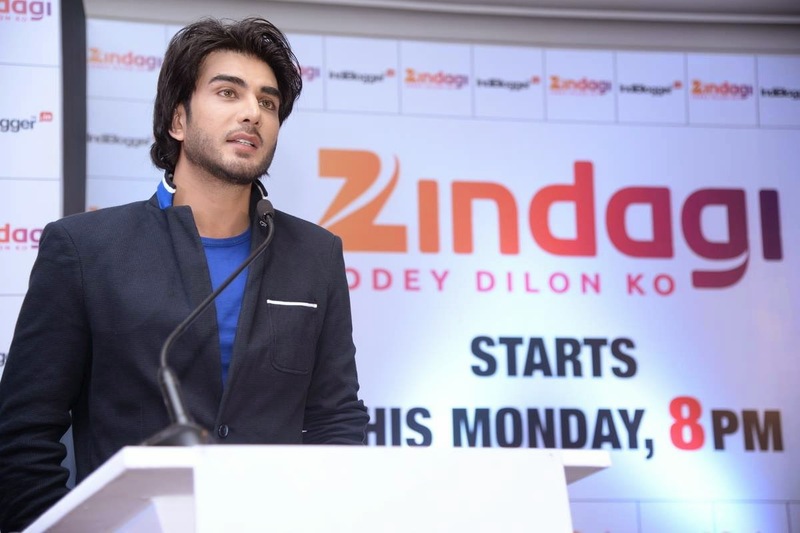 ZEEL’s new channel Zindagi will beam Pakistan TV’s top rated shows in India. 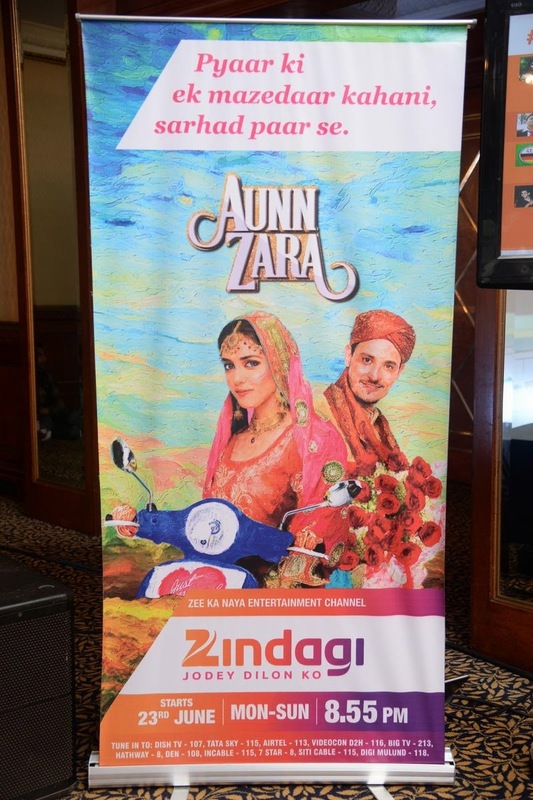 Along with TV serials, Zindagi will also telecast Pakistani telefilms. 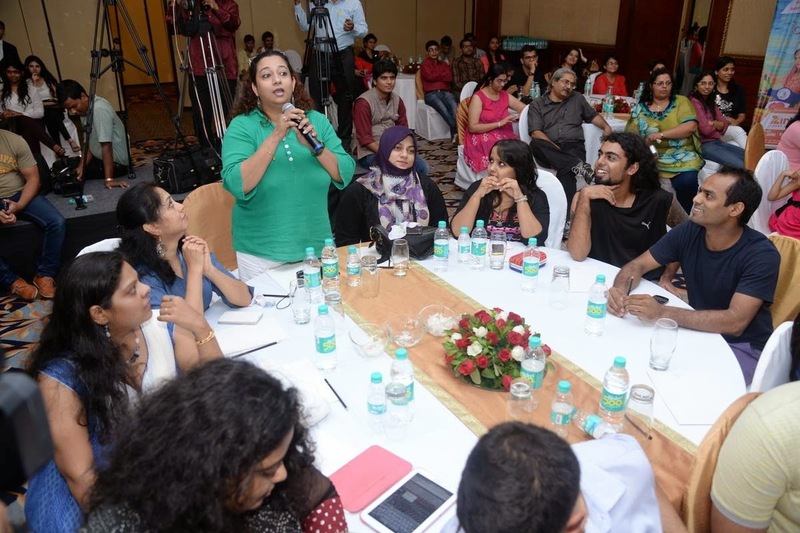 Shailja Kejriwal, Chief Creative – Special Projects and Ms. Priyanka Datta, Business Head – Zindagi & Amp; Amp; FTA Cluster took us through the drill of their agenda and what they plan to bring to India and how that will help in building a better relationship between both estranged neighbours. The crowd was getting a little uneasy as they awaited the man of the hour Imran Abbas Naqvi to make an appearance. His walk in was lost in the bloggers from both cities vying to have an upper hand. But when he took the mic, it was all his. With his boyish looks, impeccable dressing and witty sense of humor he was an eye candy for the crowd. He was an excellent orator with a dose of pure Hindi and Urdu and equally good English. Whenever India and Pakistan are talked about in the same breath there always is aggression whatever the occasion. From cricket to politics, to medicine the questions were thrown at him from all direction from both the cities. He answered them all with immense patience and calmness, occasionally speaking from his heart and dogged the political question with ease. He did not take sides but spoke for the art and culture and bringing hearts close. He spoke about his childhood days when he adjusted terrestrial antennae to get the transmission of Indian channels back home. He informed us that our Bollywood and television starts are equally revered in Pakistan, or at times even more than what they are in India. In meanwhile Sultana Siddiqui (Aapa) joined us on a video call from Lahore. Sultana Aapa as he calls her and introduced her as his foster mother, the one he owes his career to. She is the director of Hum Network Limited and president of Hum Network Limited and the first woman who started her own TV channel in Pakistan. She runs a successful entertainment network, as the face of the Pakistani woman. She infact has been a true inspiration to women on both sides of the border. Imran also sang for the crowd amongst deafening applauds with loud cheers; he sung ‘Aaisa Desh Hai Mera’ and ‘Tum Hi Ho’. We at our table were wondering why he is not signing some song from the other side as that would have been a surreal experience. But nevertheless he enthralled the crowd with is memerising and melodious voice. He mentioned how he regretted rejecting “Aashiqui 2” and shooting for his debut Bollywood movie with Bipasha Basu from whose dubbing he had directly come. 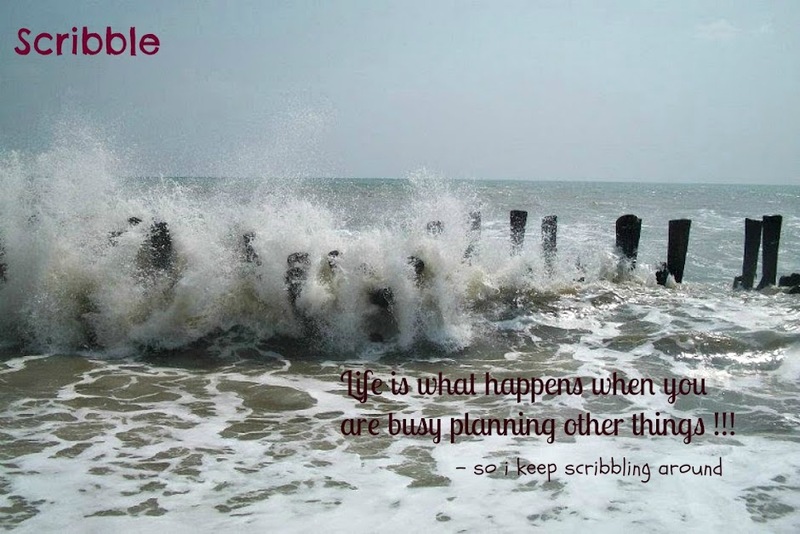 The experience shared by SultanaAapa was an eye opener and very enlightening. The meet eneded with high-tea with impromptu post meet chit chatter with blogger friends and networking and making new friends and exchanging pleasantries with our wonder hosts team IB. On my back home I once again seeing the huge posters lined up on both side of the road increased my anxiety and intrigued me more about getting to watch the best Pakistani teleserials. I am looking forward to experience the celluloid classics like Kitni Girhain BaqiHai, Zindagi Gulzar Hai, Kash Main Teri Beti Hoti and likes. 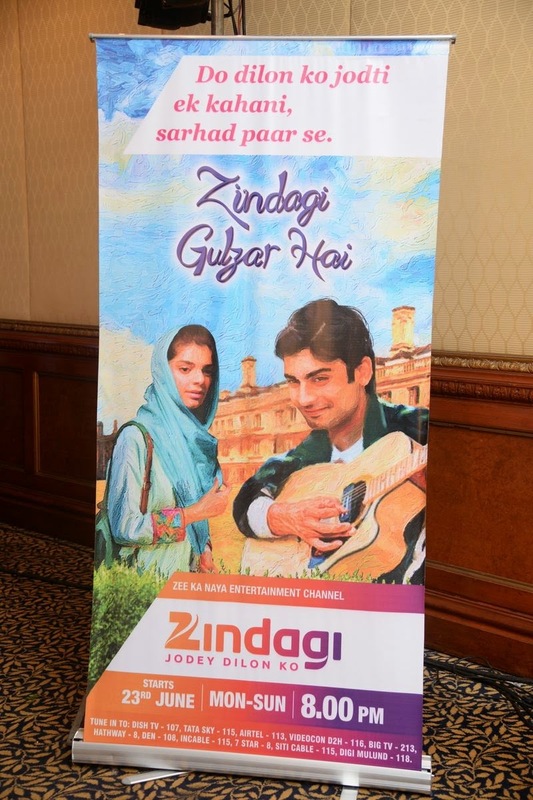 Zee Zindagi kickstarts with shows like Zindagi Gulzar Hai and Aunn Zara.